An early beachfill project slated to begin this month, before the wider island beach and dune-building effort takes off, has been delayed by a few weeks, officials confirmed Tuesday. 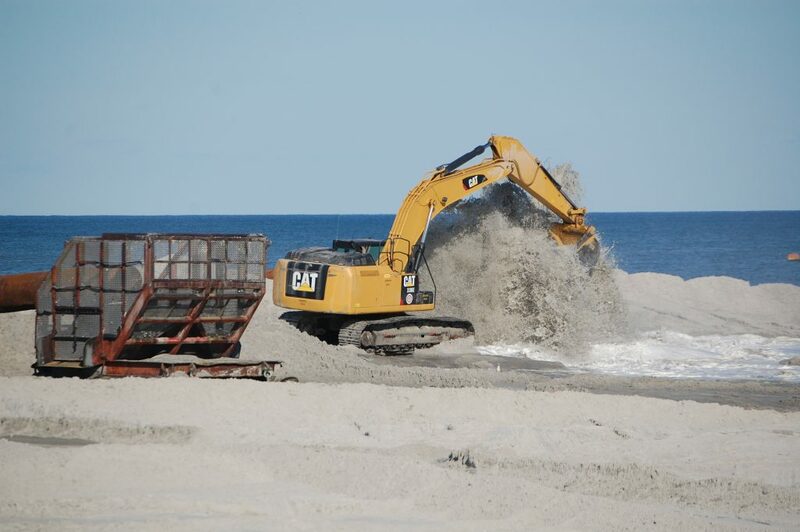 “The start of work in Ortley has been delayed due to late completion of a Weeks Marine project in Florida,” Stephen Rochette, spokesman for the U.S. Army Corps of Engineers Philadelphia District, told Shorebeat. Toms River officials got news of the delay late last week, said Councilwoman Maria Maruca, who represents island homeowners in the township’s first ward. But the dredge boats are still on the way and residents will begin seeing replenishment-related activity within the next week or so, she said. “They will be doing all the pre-con[struction] prior to that so as soon as they get up here, they will be able to start,” Maruca said. Examples of pre-construction preparations include spreading out a massive dredge pipe system and bringing in heavy equipment to move sand once it is pumped onshore. Ortley Beach, due to its vulnerability, is receiving an emergency load of sand before construction on the larger project begins. The North Beaches will receive their sand in the fall, at which point Ortley will have its project completed with a vegetated dune system.